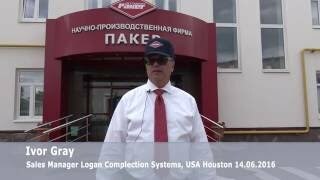 Science and Production Firm Paker LLC entered the Top - 50 best companies of the rating "TekhUspekh 2013". November 7, 2013 the official rating of "TekhUspekh" was published. Science and Production Firm Paker entered the Top - 50fastest developed companies (on revenue expansion rate), and Top - 50 innovative companies (technology level of output product, its modernity, intellectual property of companies, R&D expenses and technological innovation), and also entered the Top - 50 of the main rating "TekhUspekh." This rating was established by the Russian Venture Company and the Association of Innovative Regions of Russia in partnership with PwC and Vnesheconombank. Only enterprises and organizations entered the rating that performed higher than average index in their industry during last three years. The rating of "TekhUspekh" solves the problem of searching the most successful technological companies and also the improvement of updating of innovative business sphere as well including the transparence increase, best practices finding and upon which planning of the tools in order to develop the market. Besides that, leaders of fast-growth companies, as the previous experience has shown, could be engaged in the communication with the representative of a public authority for discussing key problems and possibilities of innovation and technology development.